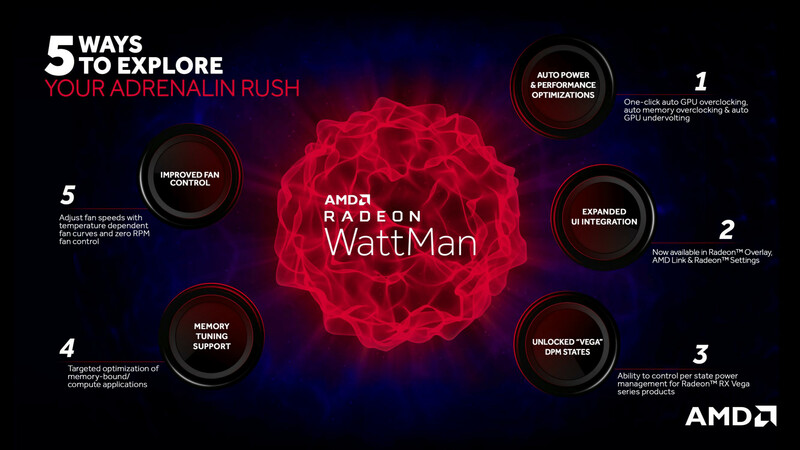 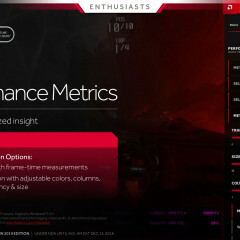 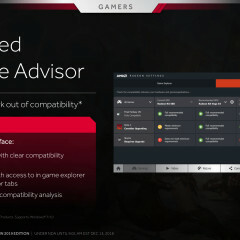 The annual AMD driver overhaul is finally here for this year and the list of features does not disappoint. 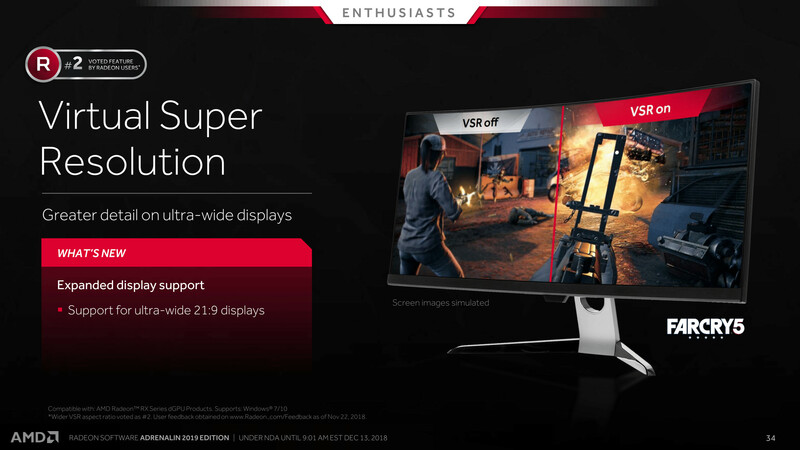 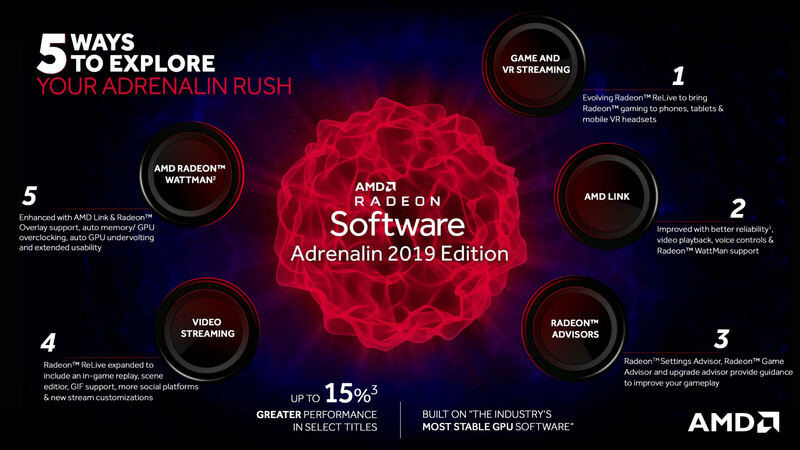 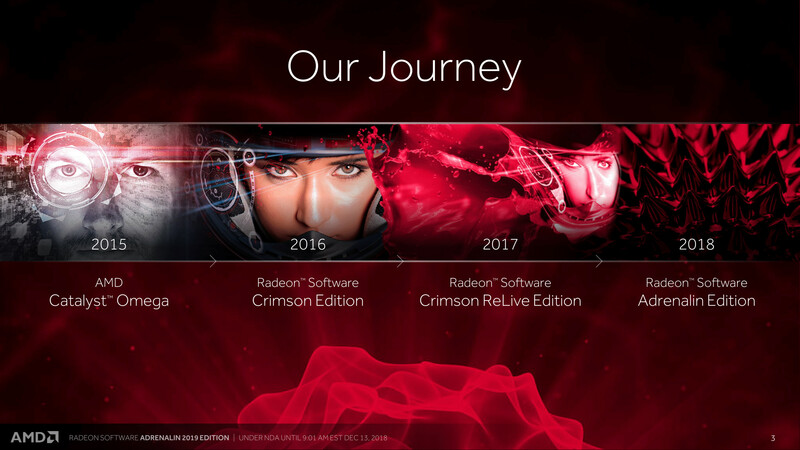 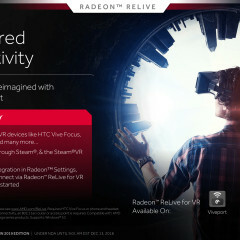 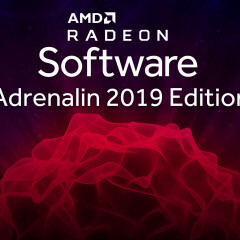 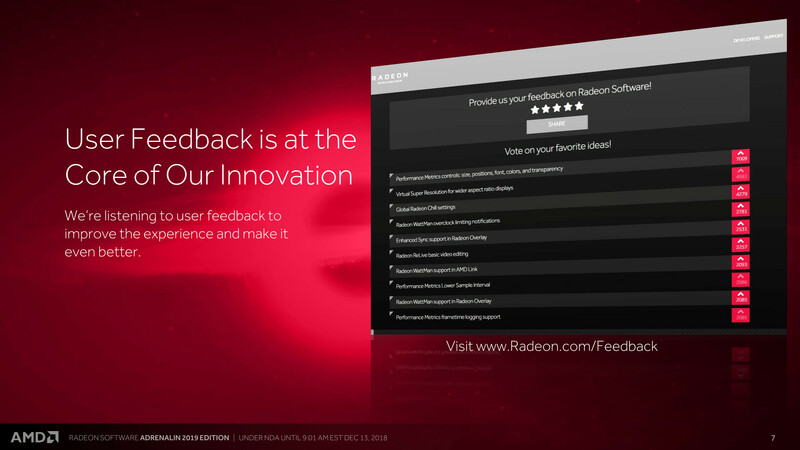 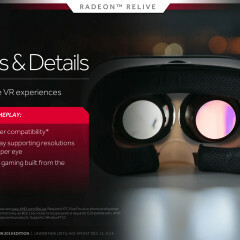 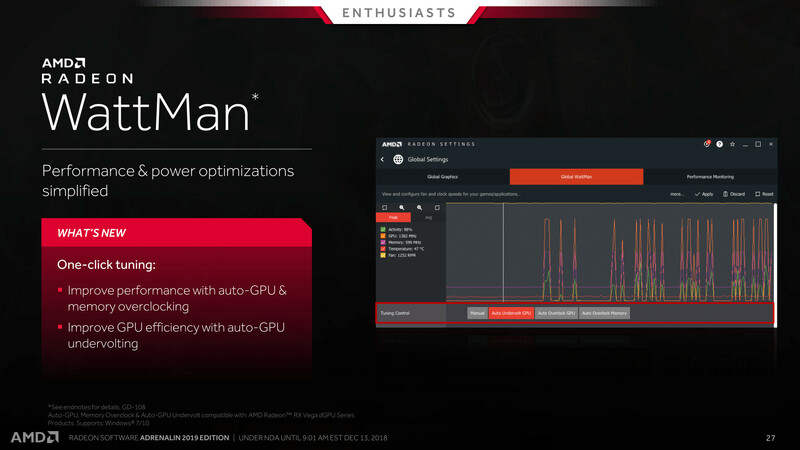 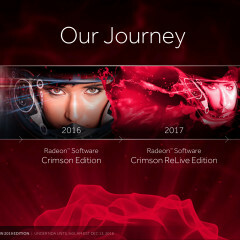 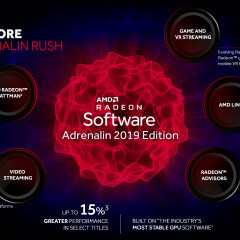 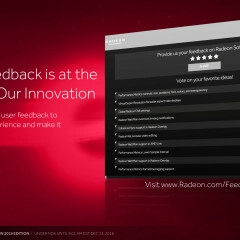 Officially named the Radeon Software Adrenalin 2019 Edition 18.12.2, the driver builds upon the systems it introduced in the previous years and much more, just as the leaks predicted. 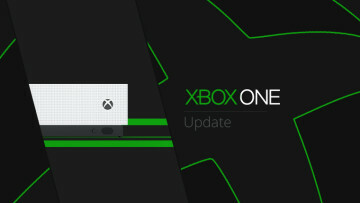 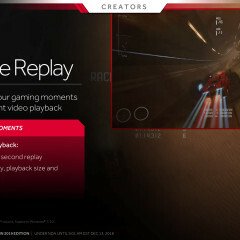 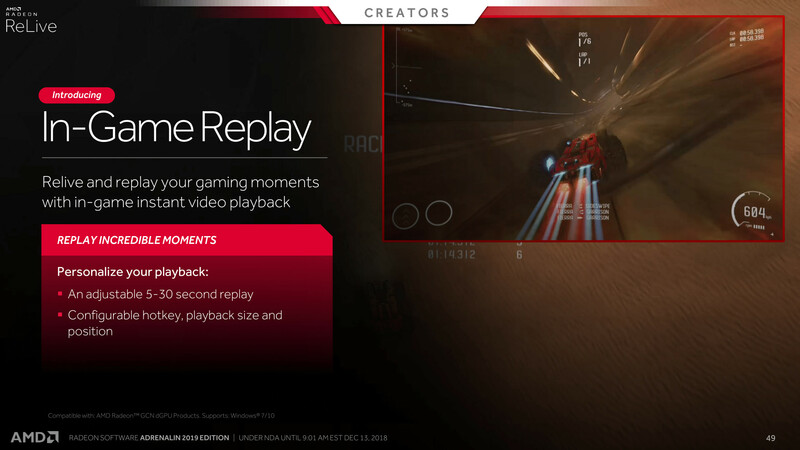 One of the biggest additions of this driver is the Game Streaming feature. 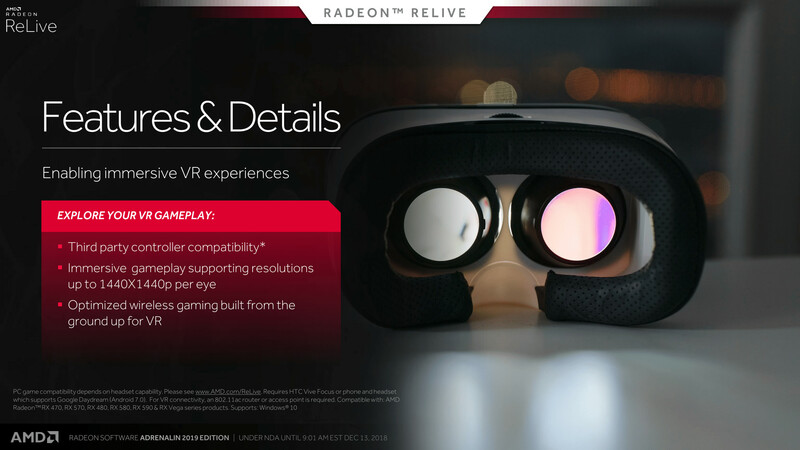 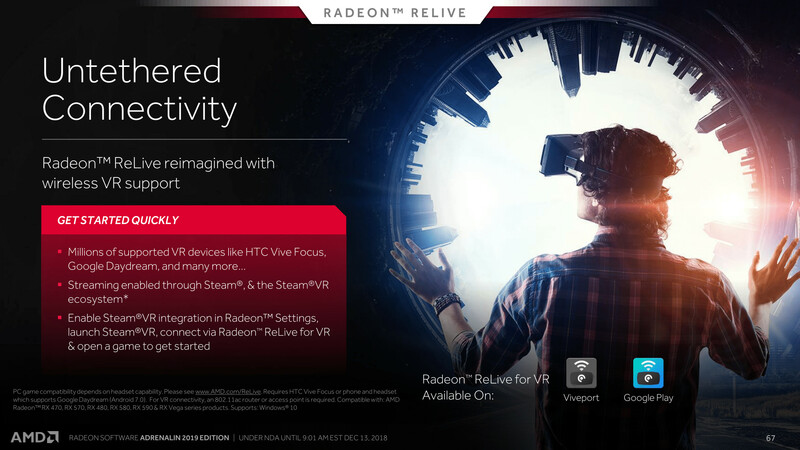 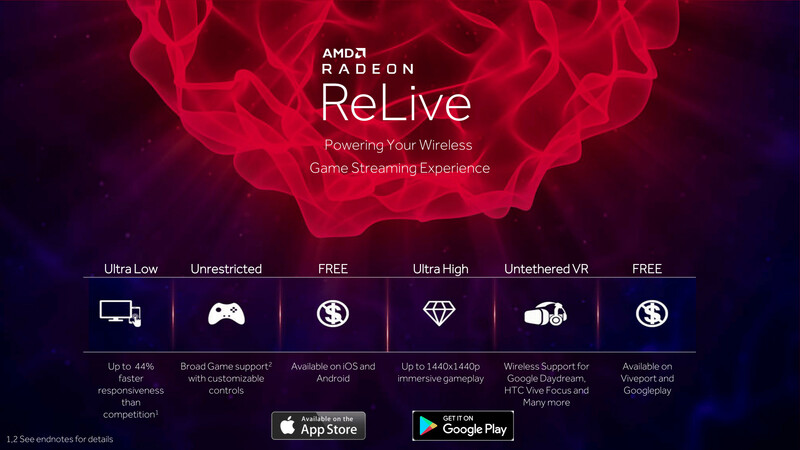 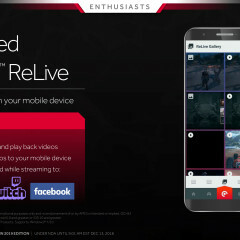 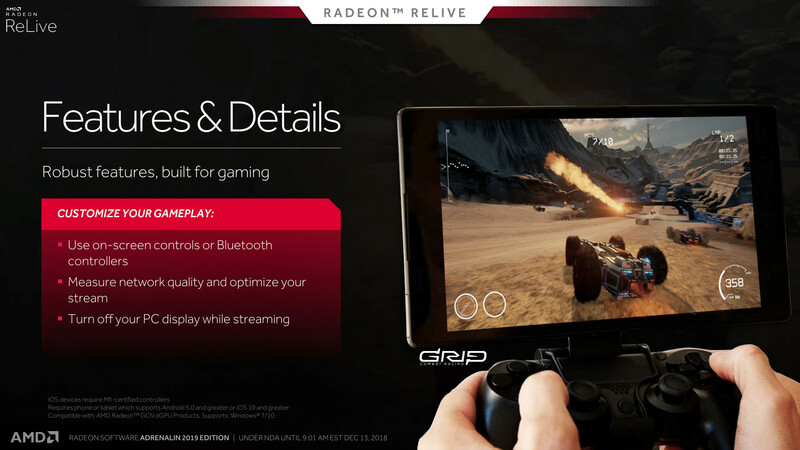 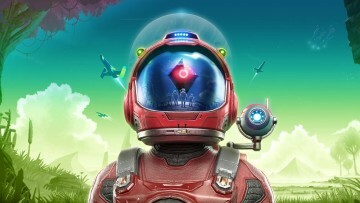 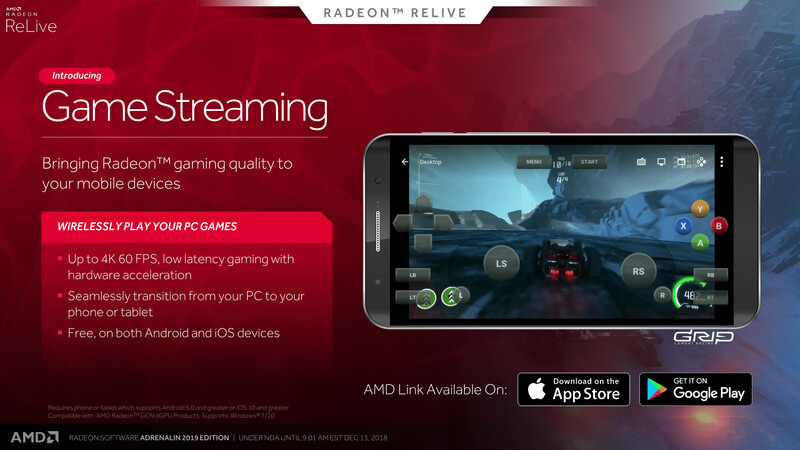 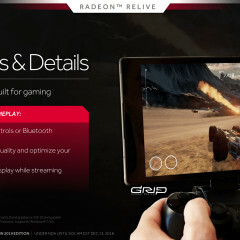 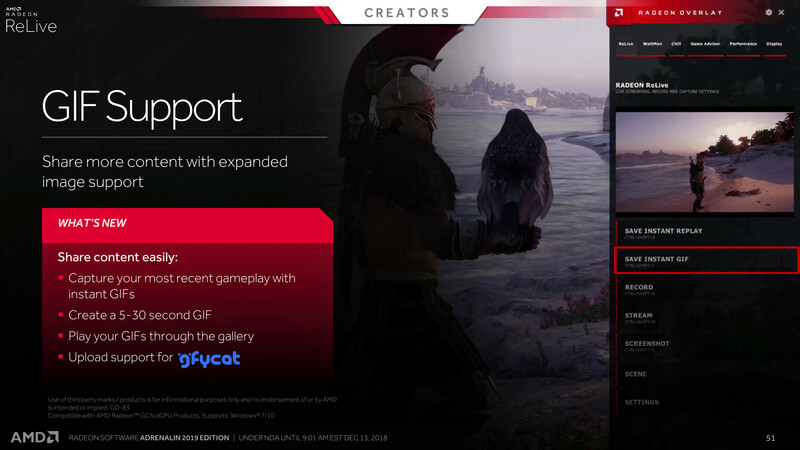 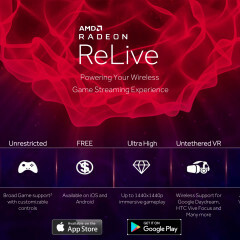 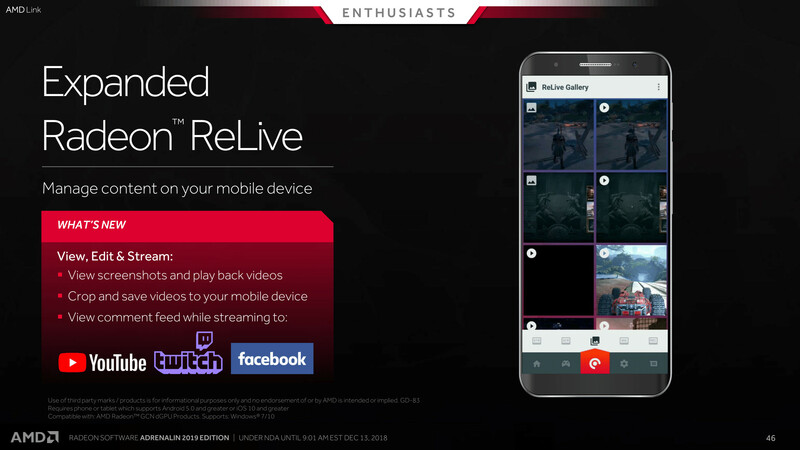 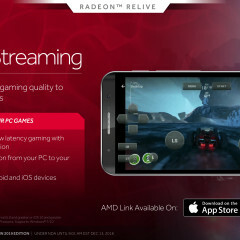 AMD graphics card owners can now stream their PC games to mobile and virtual reality devices through local WiFi using the company's dedicated apps on Android, iOS, and Steam. 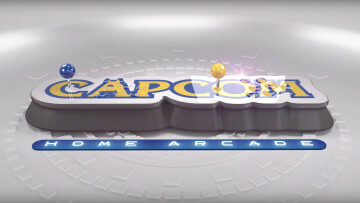 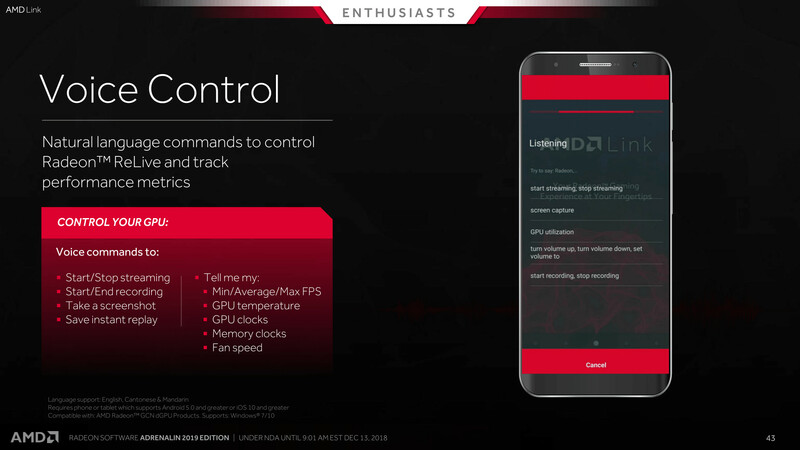 The company promises a low-latency experience that can go up to 4K 60fps. 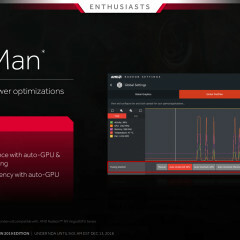 Meanwhile, the WattMan overclocking utility now features "One click tuning," where users can automatically overclock and undervolt components without fiddling with settings themselves. 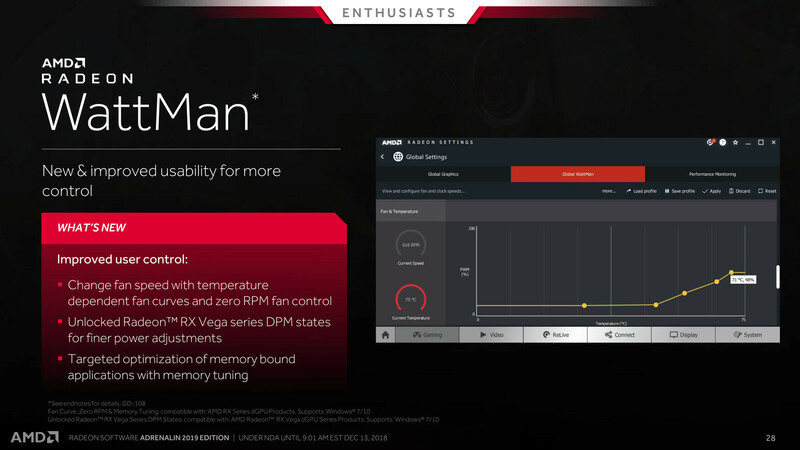 Setting fan curves that depend on temperature is also now possible without needing third-party software. 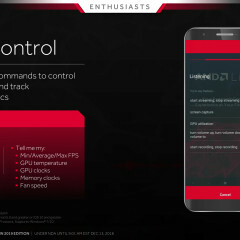 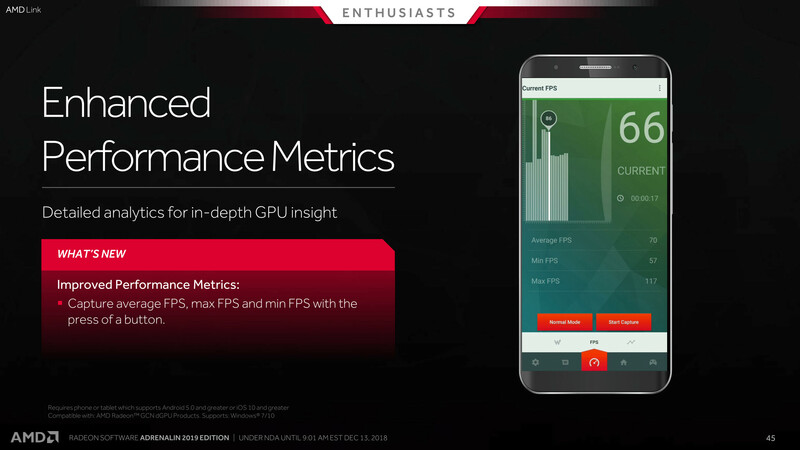 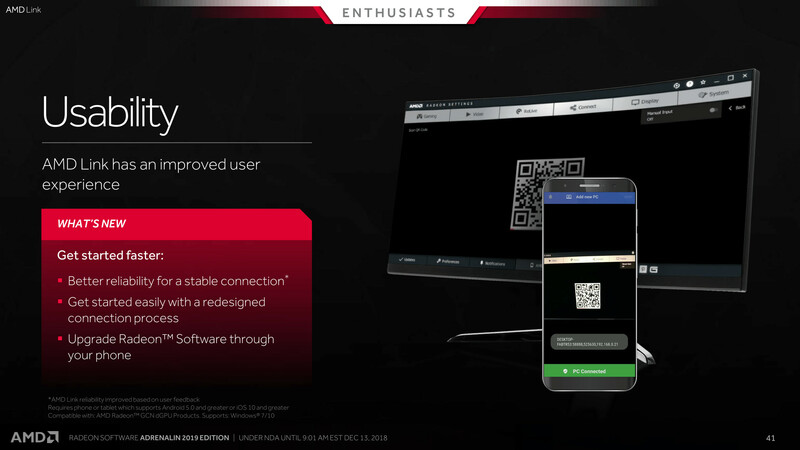 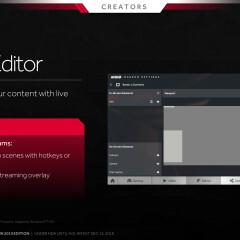 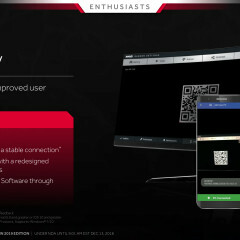 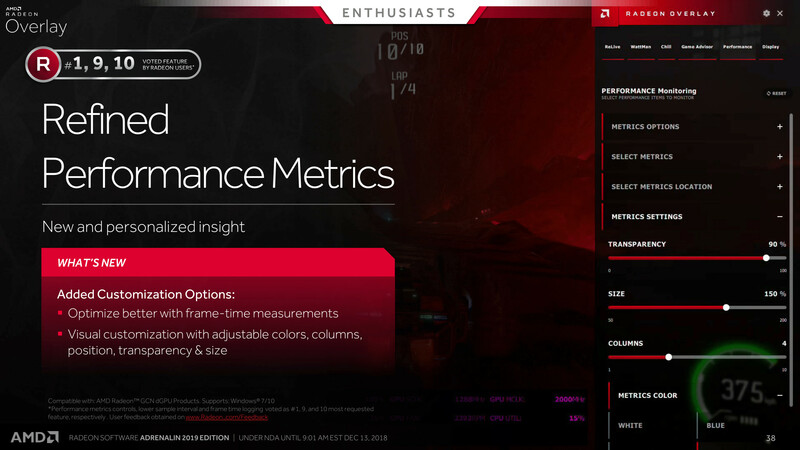 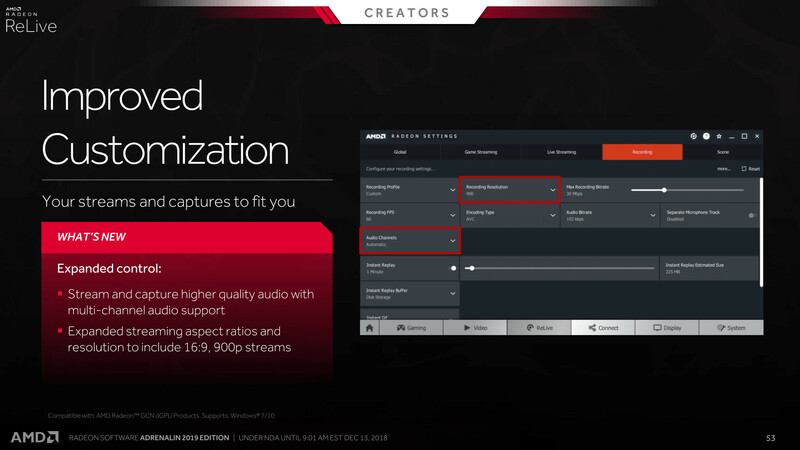 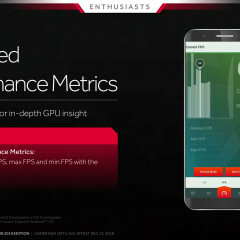 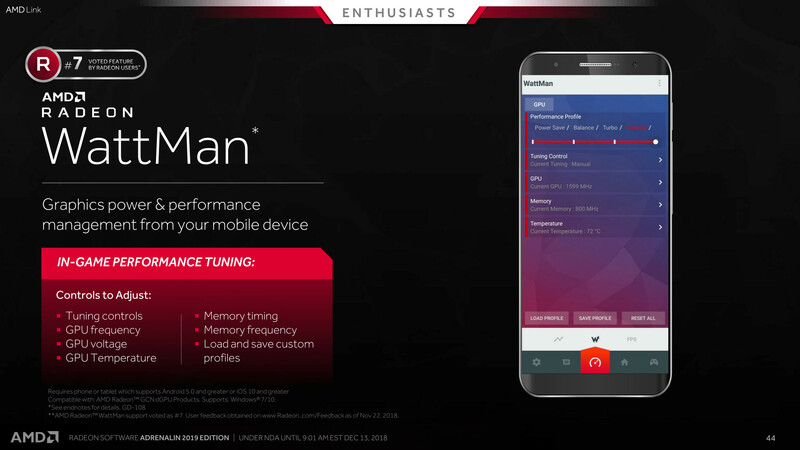 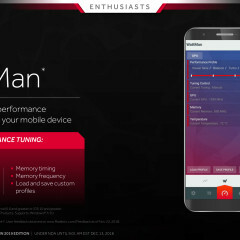 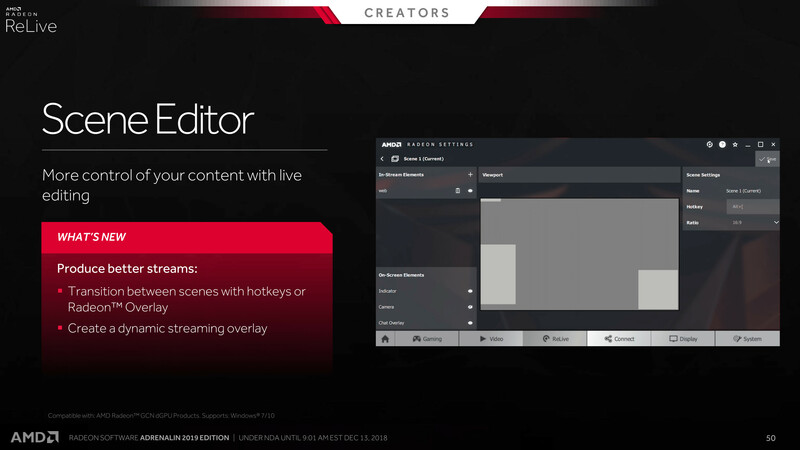 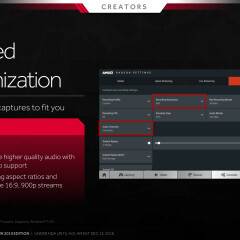 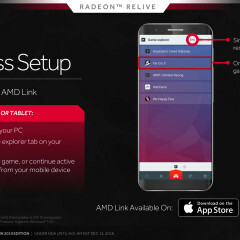 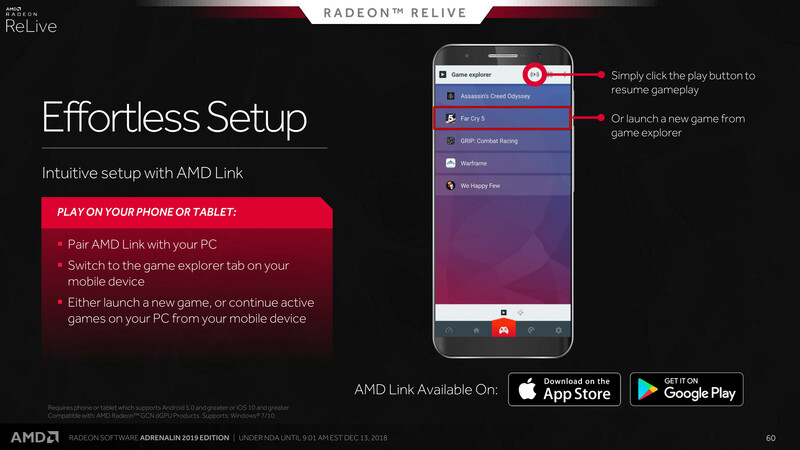 The AMD Link app, that also handles the aforementioned mobile streaming systems, now come with voice commands for tracking performance metrics and even controlling Radeon ReLive options such as telling it to save a screenshot or begin recording. 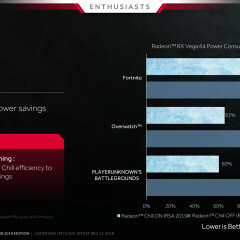 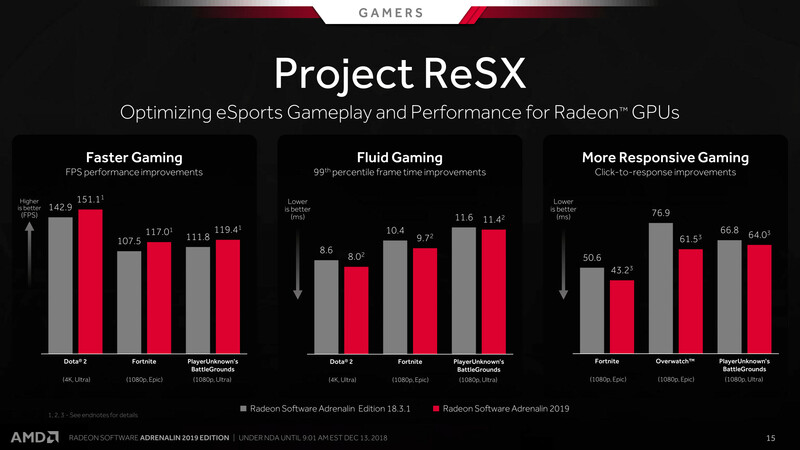 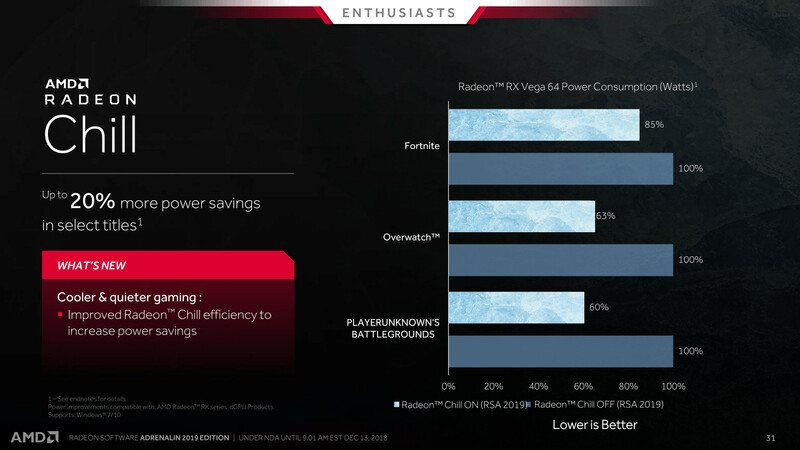 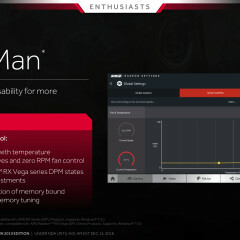 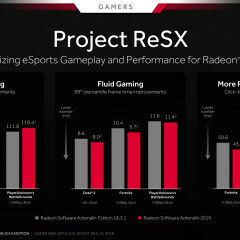 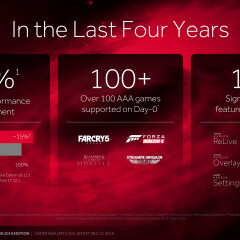 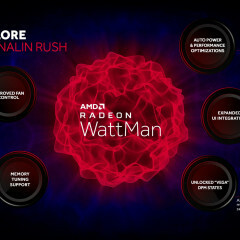 AMD also highlighted some performance boosts that arrive with this driver ranging from 3% to 7%. 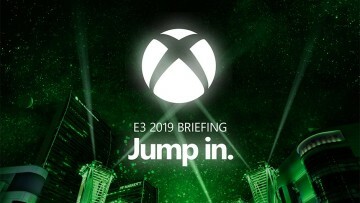 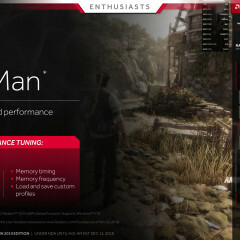 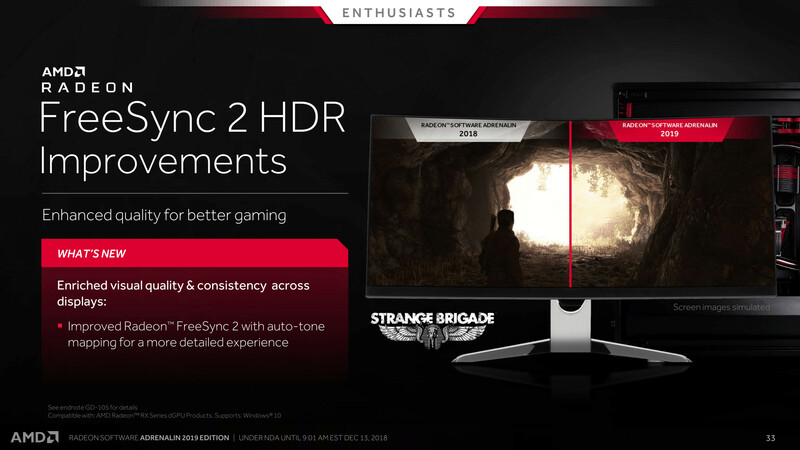 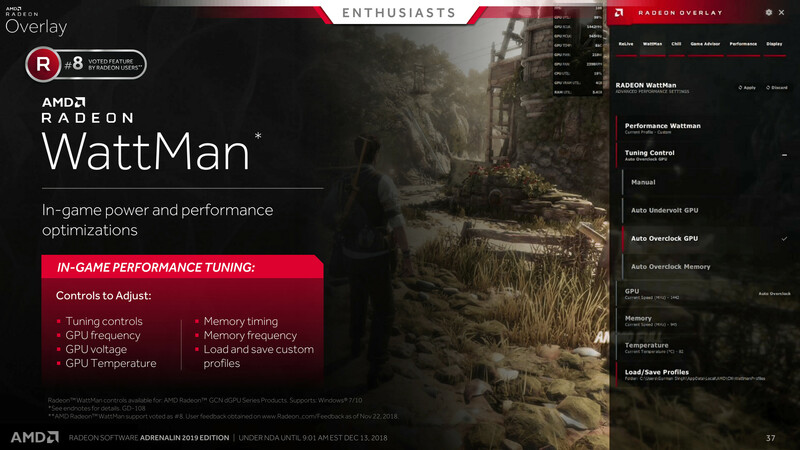 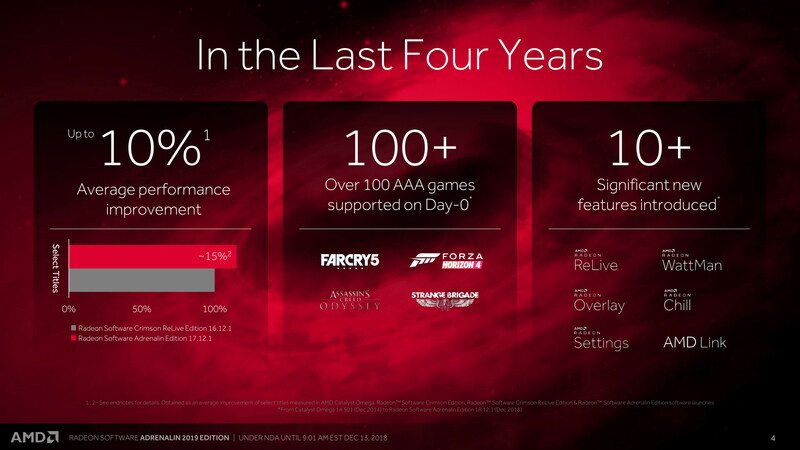 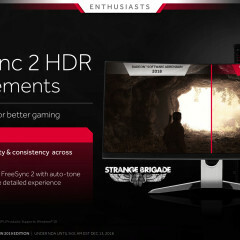 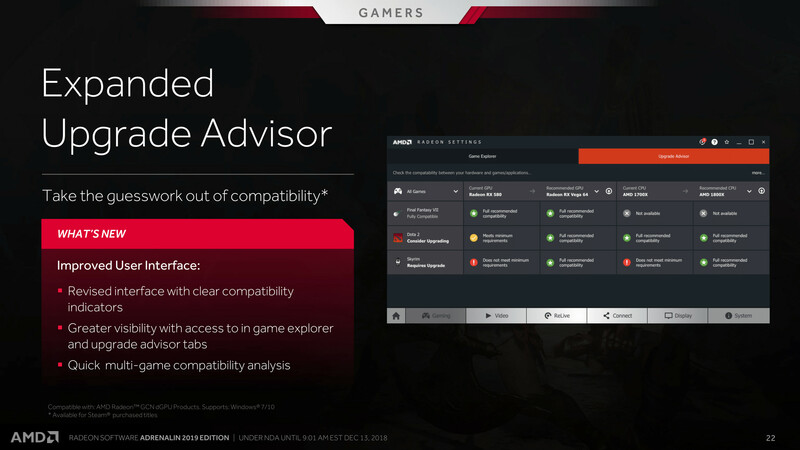 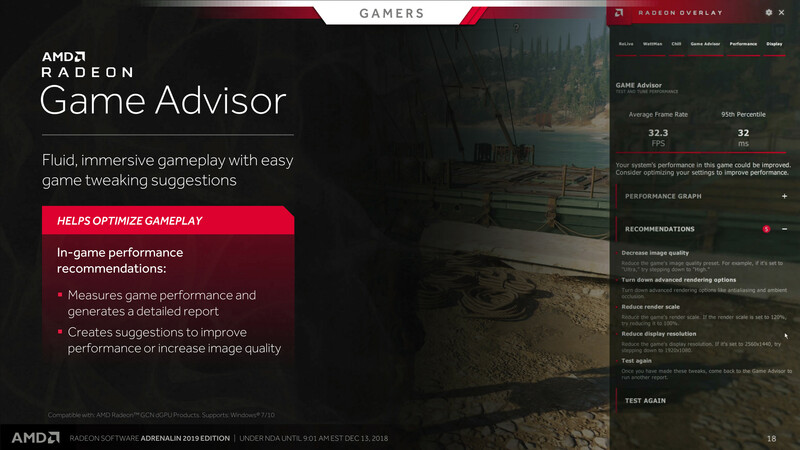 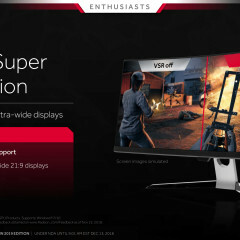 The affected games include Doom, Assassin’s Creed: Odyssey, Shadow of the Tomb Raider, Strange Brigade, and Wolfenstein II, but AMD graphics card users should expect to see smoother gameplay across the board. 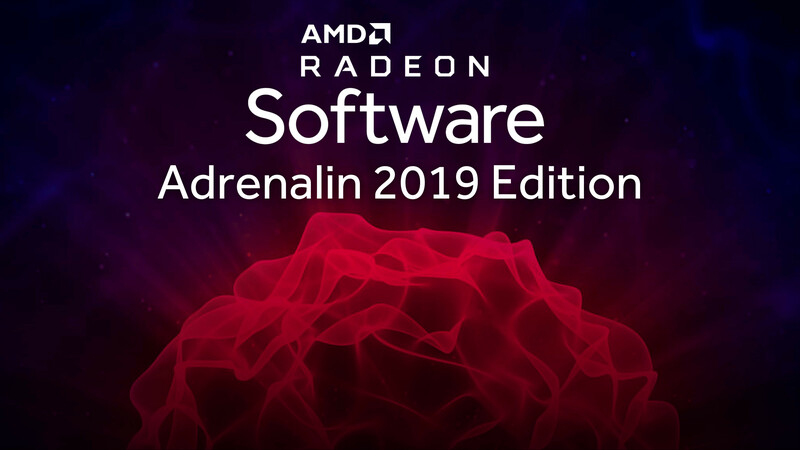 The new Adrenaline 2019 Edition 18.12.2 driver is now out and available to download via the links listed on its official release notes. 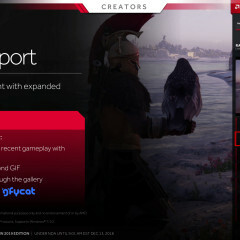 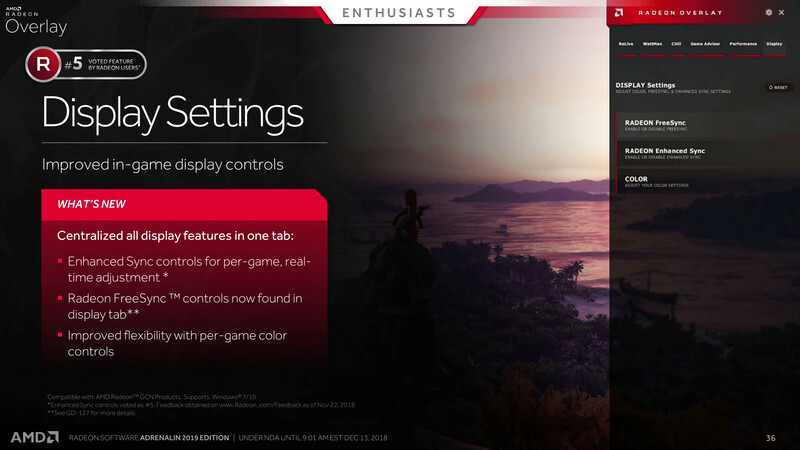 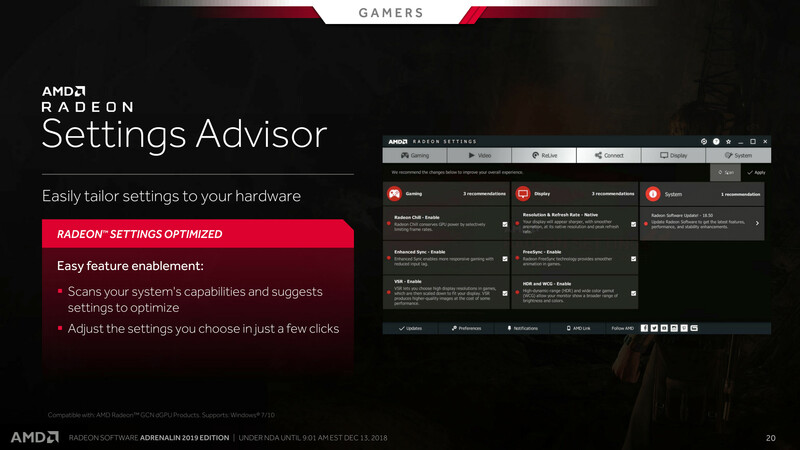 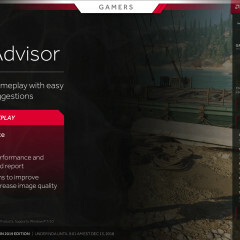 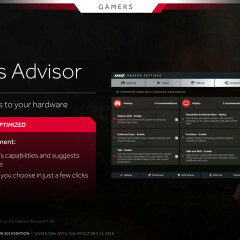 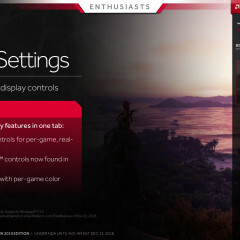 There is also the option to upgrade using the Radeon Settings app on Windows.